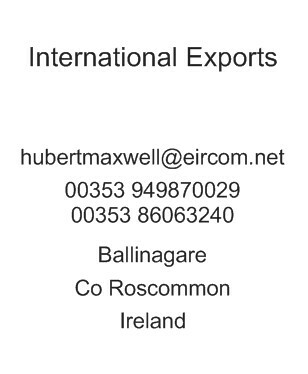 Maxwell livestock together with Creggan Transport continue to bridge the gap between us and you! We have been lucky to work alongside our logistics partners Creggan Transport for many years now. Their professional service provide you with a hassle free and efficient transportation of your latest purchase. All drivers are certified and expertly trained in the handling of livestock. The Creggan fleet offer comfortable and spacious haulage facilities. Each carriage is individually organised to ensure even distribution of size and weight. Frequent comfort stops are made to attend to the livestock and ensure all is as it should be.